Looking for a Family Practice in Orlando, FL? Legacy Family Medicine is a unique family practice serving Orlando, Florida. Our founder, Philip T. Hardy, MD, is board-certified in family medicine. Dr. Hardy has assembled a compassionate and competent team of healthcare providers who believe in providing patients from ages 15 to 105 with holistic medical care and treatment. If you wish to find a doctor nearby who practices family medicine with your family as a top priority, contact us. You are unique, your health issues are unique, and you deserve a family practice that offers unique health solutions. Improving your family’s quality of life is more important than just checking off the boxes to meet the standard of care. Finding and treating the root cause of illness is superior to solely treating symptoms. Spending time to talk to you and understand your complaints yields a more accurate diagnosis the first time. Integrating holistic healthcare (mind, body and spirit) allows your body to regenerate using its innate healing properties. You will accomplish your health goals easier if your family practice provides you with compassion and understanding. Patients deserve individualized, whole person, holistic medical care and treatment. Educating patients improves health outcomes without medicines. Your opinions about your health and healthcare treatment are valuable. Dedicated to finding health solutions that work, Dr. Hardy believes that achieving an optimal outcome starts with thoroughly understanding a patient’s health condition. He is confident that ANY health issue can be improved or solved through education, lifestyle changes, appropriate diagnostic testing, and specialist consultations when needed. He and his team ensure that patients understand their diagnoses, so that they experience less fear of the unknown and feel more empowered to improve their lives. 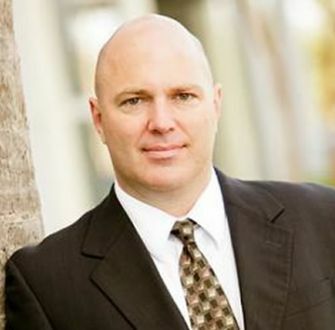 Originally from Loma Linda, California, Dr. Hardy worked as a biochemist before becoming a doctor. His hobbies include SCUBA diving, snorkeling, weight lifting and travel. He has a love for music and in his youth pursued a dream to become a professional songwriter, lyricist, vocalist, and performing musician (he plays the tenor saxophone, guitar, keyboards and electric bass). Dr. Hardy loves learning new languages. Spanish is his favorite and he is proud of his ability to take a patient’s health history entirely in Spanish. Dr. Hardy is married with two children. I believe that with respect and education, many things can be accomplished for our patients. An enthusiastic leader who’s always willing to lend a hand, Liz strives to create a fun and productive working environment at Legacy Family Medicine in Orlando. The Legacy team prides itself on resolving acute problems for patients and helping them control chronic problems, too. Liz is proud of the consistent, quality care her family practice team delivers. Originally from Puerto Rico, Liz graduated with a degree in Radiation Technology (specializing in Mammography) from the Interamerican University of Puerto Rico. She continued her medical career in Orlando, graduating as a Registered Nurse from Valencia College. Liz enjoys a good cup of coffee, organic food and homeopathic alternatives. She loves going to the gym and practicing yoga. She is proud of her two beautiful children and loves animals--especially dogs--and dotes on her canines, Tiny and JakJones. 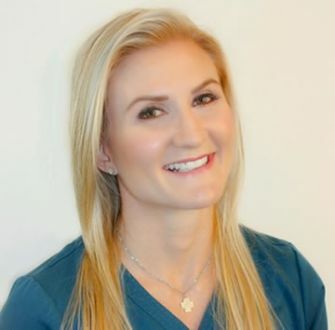 Maria is a physician assistant who completed bachelor's degrees in Nutritional Science and Human Biology at Michigan State University. 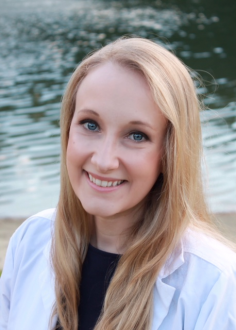 She then moved to Orlando, Florida to attend Nova Southeastern University where she graduated with high honors in Master of Physician Assistant studies. During her free time, she likes to take adventures in Florida with her boyfriend. She also likes to play piano and listen to music. Brooke is a Florida native who earned her Bachelor's Degree in Health Sciences at the University of Central Florida. She received her Master's Degree at Lock Haven University of Pennsylvania. She is happily married and has two rescue dogs, Archer and Bow. My goal is to help patients return to a state of health—to free them from pain so they can enjoy life to the fullest. Empathy, active listening and communication are what patients can expect from Denise Jacobs. Dr. Jacobs is passionate about partnering with patients to reach their wellness goals—so that they can also reach their full potential in life. Acupuncture helped her recover from her own sports injury. After she experienced its amazing benefits firsthand, she knew it was the way she could help other people on their wellness journey. Dr. Jacobs feels most rewarded when her patients heal and return to their lives with vigor and happiness. She has been featured on WESH News, Fox News and the Orlando Sentinel. 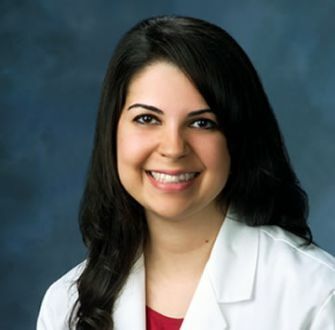 Melika is a nurse practitioner who completed a bachelor's of nursing at East Tennessee State University. 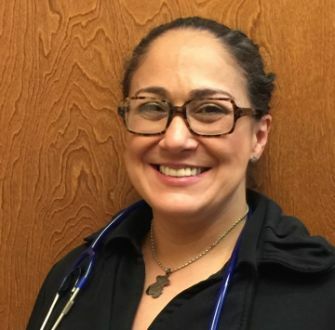 She worked as an RN at the Johnson City Medical Center in Johnson City, Tennessee for two and a half years. She later moved to Orlando, Florida in 2013 to work at Florida Hospital East Campus for five years. In December 2017, she received her master’s degree to become an Advanced Practice Registered Nurse at Indiana State University. She is a strong believer in treating the body, mind, and spirit as a whole. For leisure, she likes to spend her time with her spouse and three children. Glendaliz Sandoval is originally from Puerto Rico. She started working with Legacy Family Medicine on 2010. Currently, Glenda is our assistant Manager and referral coordinator. She enjoys taking care of patients. Glenda will go the extra mile to resolve any of our patients' needs. She enjoys boat fishing with her family. Glenda is a dog lover "I'm crazy about my dog Willie"! We love serving our Orlando area communities including Azalea Park, Bithlo, Chuluota, Winter Park, Oviedo, Conway, Vista East, Casselberry, Altamonte Springs, Lake Nona, Avalon Park, Waterford Lakes, Research Parkway, and the University of Central Florida. Make an appointment to see your primary care physician by calling our friendly staff at 407-781-1000. We are accepting new patients and referrals.